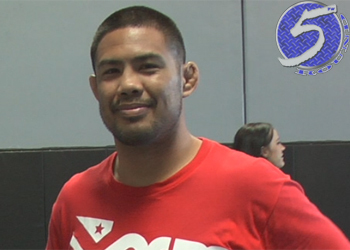 Mark Munoz bumped his professional MMA record to 11-2 this past Saturday when he rallied to take a unanimous decision victory over Demian Maia at UFC 131. “The Filipino Wrecking Machine” has won six of his last seven fights, including three straight Octagon scraps. “How close is he to a title shot?” White wondered aloud. “I don’t know the answer to that question. He’s definitely on a great win streak, beating Demian Maia is a big deal. It was a good, tough fight, and it was funny because Demian Maia looked awesome. The fact that he beat Demian the way that Demian fought was unbelievable. Munoz appeared content with White’s vague comments, as he understands there are still holes in his game that need to be filled. No worries, he’s got his Reign Training Center and its stable of studs to help him hone his skills. “I’m just going to fight, and fight whoever they give me and beat them. My job is to just keep improving,” Munoz said. “I tell everybody, ‘If you make your weaknesses your strengths, be a well-rounded fighter, then you’re going to reach the top at some time’. That’s what I want to do.